Home → Articles → Is sugar really that bad for us? I wrote about the incredibly damaging effects of sugar in a blog post a couple of years ago and I am prompted to re-visit what is a hot topic again now. And it really is a hot topic, as I noticed when one of the films on the aeroplane on my way back from holiday was The Sugar Film by Damon Gameau! I know many people have given up sugar as a New Year’s Resolution and many of my wonderful clients have made that choice recently as well. If you need a bit of inspiration to reduce your sugar in-take, have a look at this blogger’s experience and scroll to the end of see her ‘ten positive things about living sugar-free’. If you are already cutting out sugar, carry on reading for some of the latest research and how to avoid a ‘sugar belly’ and ‘stressed-out liver’. You may have heard that strange word ‘Globesity’ – used by the World Health Organisation (WHO) to describe the global epidemic of obesity. Obesity is regarded as one of the most pressing public health problems today. Some researchers claim that obesity is a bigger problem than malnutrition across the world and that sugar contributes to the 35 million deaths that result from obesity each year. I often explain to people that sugar doesn’t just cause fat gain, it also causes damaging changes your body’s metabolism, raises blood pressure, disrupts hormones and damages your liver (leading to fatty liver in particular). Do you have a sugar belly? If you or your children have a ‘sugar belly’ (where your waist is larger than your hips) this could be an indication that your liver detects an excess of glucose. This could be due to excessive sugar consumption or a highly stressful lifestyle. If there is more glucose in your body than you can use for energy, it is converted into fat around your midsection and internal organs (this is known as central obesity). Excess fat contributes to chronic inflammation in your body and this can significantly increase your risk of various diseases including heart disease, stroke, diabetes, cancer and Alzheimer’s disease. I love to watch videos and listen to talks while I am cooking or ironing so here are some good ones for you to watch by Robert H. Lustig, MD, UCSF Professor of Pediatrics in the Division of Endocrinology. They are in a series of videos online called ‘The Skinny on Obesity’ and ‘Sugar the Bitter Truth’. How is your liver coping? This is one of the most important questions I think about during my consultations. 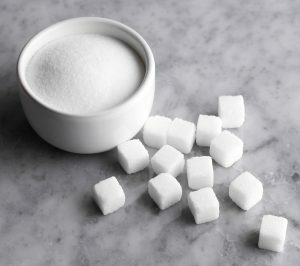 Sugar is processed in the liver and when we consume foods that are high in sugar it is the liver that must deal with it. Our hard-working livers convert sugar to fat, leading to fatty liver. In fact, fatty liver disease is a major health problem, now surpassing alcohol as the main cause of cirrhosis. Did you know that diabetes occurs when the pancreas can no longer produce insulin to bring down the sugar? It is diabetes which then independently increases the risk of heart disease and kidney failure. I am so happy that at last people are realising just how harmful sugar is for our bodies and are making concrete changes to their dietary choices and lifestyles. ‘The Soft Drinks Industry Levy’ is a ‘sugar tax’ which makes soft drinks companies pay a charge for drinks with added sugar. It is part of the UK government’s childhood obesity strategy and is endorsed by Jamie Oliver and Dame Sally Davies (Chief Medical Officer for England). Britain’s sugar tax could reduce the number of obese children by up to 7 per cent and lead to fewer people developing type 2 diabetes and tooth decay. Chose foods as they are found in nature. Chose sugar-free cereals and add fresh fruit for sweetness. Chose savoury snacks instead of sweet snacks. E.g. oatcakes with humus rather than sweet biscuits. Adopt the 20:80 rule. Stick to treats occasionally (20% of the time). Add plenty of protein and foods rich in chromium and manganese to your diet as this has been shown to balance blood sugar and reduce sugar cravings. Beware of ‘sugar-free’ alternatives where the sugar has been replaced with either high-fructose corn syrup, artificial sweeteners or extra fat which are difficult to spot on labels. You might also like to try Michael Mosley’s Blood Sugar Diet to lose weight and improve blood sugar. His Blood Sugar Diet is based on a low-carb Mediterranean style of eating, with intermittent fasting as needed. He takes an evidence-based approach to healthy living and recommends exercise so that instead of being carried round your blood and deposited as fat sugar is instead burnt as fuel. I would be delighted to talk to you more about further reducing sugar and help you to create a unique and individual food plan just for you. I will share some of my tried-and-tested sugar-free recipes during our consultations. In the meantime, don’t forget to visit my collection of recipes for some healthy and delicious sweet treats! If you have any wonderful recipes that you would like to share with me, please let me know. 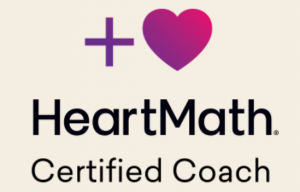 Dip.ION, mBANT, CHNC Registered Practitioner, Metabolic Balance® Coach, HeartMath Coach. Lifshitz F,Lifshitz JZ (2014) Globesity: the root causes of the obesity epidemic in the USA and now worldwide. Pediatric Endocrinol Rev 2014 Sep;12(1):17-34. Lustig, R.H., Schmidt, L.A., & Brindis, C.D. (2012, February 2). Public health: The toxic truth about sugar. Nature , 487(5), 27-29. Soft Drinks Industry Levy: 12 things you should know. News story From: HM Treasury,HM Revenue & Customs and Department of Health; First published: 18 August 2016. Accessed 14 February, 2017. Statistics on Obesity, Physical Activity and Diet, Health and Social Care Information Centre (HSCIC), England 2016. Publication date: April 28, 2016. Accessed 21 January 2017.